Homemade Cider Mulling Spice Mix is a fragrant blend of spices that make deliciously flavored mulled apple cider and mulled wine! The mulling spices are easy to assemble and also make perfect as hostess and teacher gifts, or a DIY gift for family! I absolutely love the Holidays! I love baking cookies with my family, decorating the tree and fun parties with family and friends! With all the celebrations going on I do love bringing edible gifts to my family and friends. I love to leave something behind that the family can enjoy! Last year, I made a huge batch of Rugelach! So fun and festive! This year, I am making Homemade Cider Mulling Spice Mix! I am also super excited to team up with some of my best food blogging friends to bring everyone awesome Holiday Food Gifts to keep the celebrating going throughout the Season! They have come up with some tasty recipes that are perfect to share with everyone on your gift list! What spices make mulling spice? The usual spices are cinnamon, nutmeg, allspice, cloves, and orange peel. I add star anise! Feel free to add in dried fruit of your choice and adjust spices to your liking! What exactly is Mulled Cider? Mulled cider is warmed cider with spices added!Very festive! 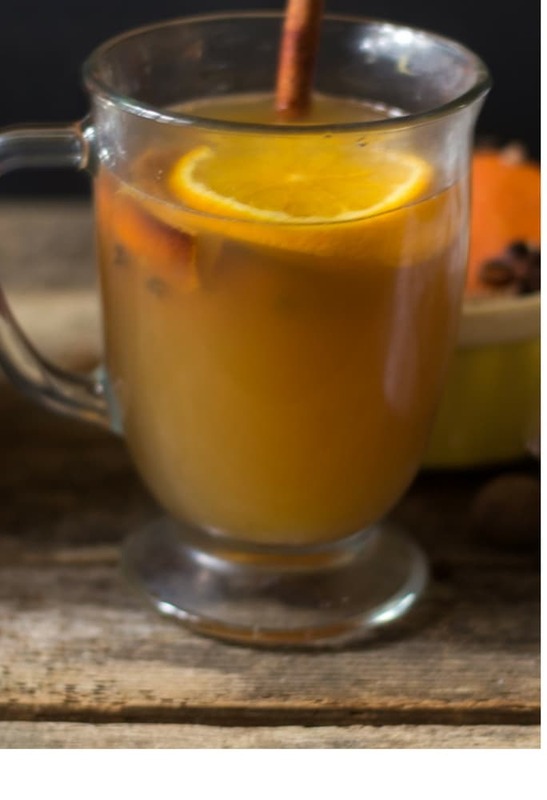 Pair homemade slow cooker apple cider with the mulling spices, amazing flavor! Where did Mulled Wine originate? Mulled wine was invented by the Romans in the 2nd Century to protect their bodies against the cold winters! Thank you Romans! What wine is best to use when making Mulled Wine? Red wine is best, Pinot Noir or Merlot are favorites! Mason Jars with Labels: Great way to store the mulling spices for gifts! Drawstring Sachet Bags: Another nice option for gift presentation is a drawstring sachet to store the mulling spices. Use clear bags and labels from the craft store to put the spice mix and add the instructions on the labels. Small mason jars are also great to use to store the mulling spice mix. Use the flesh of the orange to add to cranberry orange muffins or cranberry orange smoothie. Freeze the orange pulp to add to other recipes. Always label with the date. Fresh nutmeg is my first choice, ground nutmeg also works well. Use homemade apple cider or store bought if you are making mulled cider. 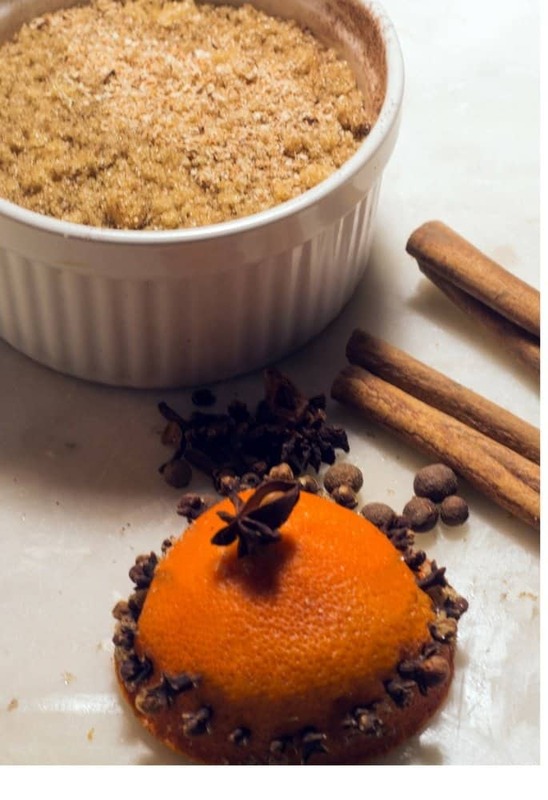 Making Homemade Mulling Spice Mix is a fun and festive gift for the Holidays! Making Homemade Mulling Spice Mix is a perfect rainy day project for the kids! The scent of the finished product has in the house smelling amazing! The warm cider is perfect for a day of cookie making or tree decorating! Your family and friends will love the recipe! When you make one of my recipes, I love seeing your recipes! Take a pic and tag me on #everydayeileen or @everyday_eileen! You will be making my day! I love any comments or questions, please leave below! I really love hearing from you all! A Holiday gift that is easy to make and a tastes delicious! Mulling Spices are mixed with apple cider! A warm cider to toast the Holidays. Slice oranges in half and scoop out the pulp. Use pulp for other recipes. Place aluminum foil inside orange halves and place oranges on a baking sheet. Place in the oven for about 4 hours to dry out the orange. Decorate the dried oranges with the whole cloves. Make whatever pattern you like to make a festive look. Set aside. In a small bowl, mix the brown sugar, ground allspice and nutmeg, Split the brown sugar mixture in half between two decorative bags. 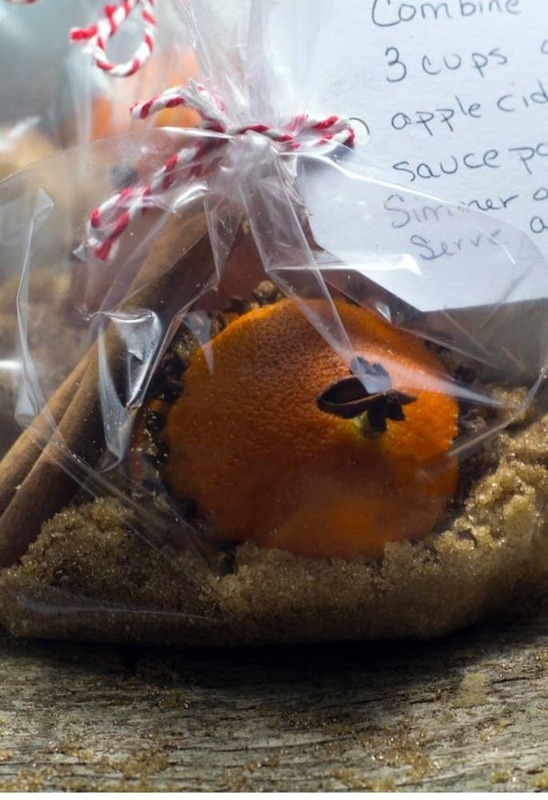 Top with decorated orange peel, cinnamon stick, and star anise to each spice bag. 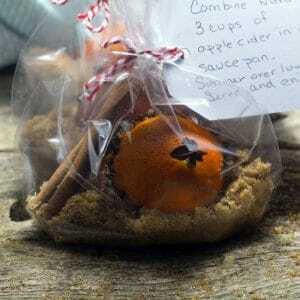 If giving as a gift, add a directions label to each bag: Combine this mulling spice with 3 cups of apple cider. Let simmer over low heat, stirring occasionally for 20 minutes. Serve warm with orange slices and enjoy. These spice gifts are awesome in gift bags, tea cups, mason jars, get creative. I am looking forward to making the recipes from these fabulous food bloggers! The recipes look amazing and I am going to enjoy making these recipes! I will be enjoying my walks after these tasty recipes! I love it – glad you enjoy! Yum! I’m sure this mix smells liek CHristmas! I am now craving a cup right now! This is such a great gift idea! I hope you make and enjoy! So warm and comforting! I wish I had a mix so I could make a cup right now. Thank you for joining in the holiday food gifts event.